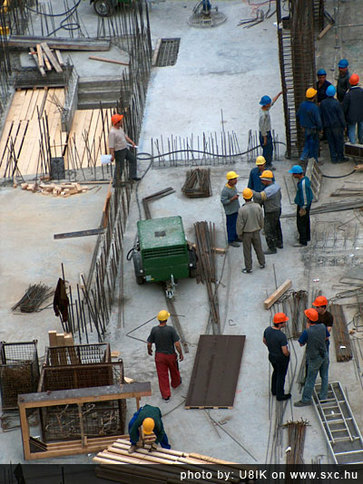 Prevailing Wage Acts, Projects, Fringe Benefits | Clovis, CA - Employee Benefits Administration Corp.
​Every successful contractor experiences the cost and administrative headaches of providing employee benefits. When performing work on City, State, or Federally funded projects the complexities are compounded. As you know, a contractor must pay pension and Health & Welfare in addition to the base wage on prevailing wage projects. How a contractor chooses to pay the fringes make an unbelievable and game changing difference. Staying compliant with the difficult and involved fringe accounting and working strictly with insurance brokers for your fringe benefits can be extremely frustrating. Steep fines and penalties are levied by the DOL, DIR and IRS for mistakes, and tremendous amounts of time and money can be spent fighting the all too common union attacks which also delay project payment. in addition to the fringe obligations. - Fulfilling Prevailing Wage fringe obligations by taking credits for benefits in-house often means you pay extra to employees who do not work 100% prevailing wage and subject employers to stringent annulization rules. - Paying double for costly employee benefits because proper transition of benefits deductions from PW to Non PW work is complex. Luckily, EBAC has designed a program that fulfills the regulation of Davis Bacon and other similar prevailing wage acts, while reducing your labor burden and risk. Why not take advantage of every financial opportunity afforded under the law. Meet all your financial obligations while reducing your fiduciary responsibility and much, much more. Not using EBAC may be your most expensive option. Call EBAC today at (559) 323-5900 or E-mail us at kent@lisusa.com to see how much time and money your business can save! Most fringe administration providers are insurance driven companies; meaning the more insurance they sell, the more money they make. Many require you, the employer, to pay an equivalent fringe rate for every hour an employee works whether it is Prevailing Wage or Non-Prevailing Wage. Many offer very expensive "one size fits all" insurance programs. So it does not matter if an employee is young, old, single, married with 6 children, or no children, they all pay the same. Their philosophy is simple. Many administrators figure you, the employer, are obligated to pay the stated fringe rate regardless and do not really care what it may cost the employee as long as the employer sees the benefit of lower labor burden cost. They are wrong! Successful contractors always keep in mind the employees under them and their true satisfaction of their employment. This is the key to successful, happy, and productive employees. EBAC understands that not all employee's insurance needs and wants are the same. When designing a program for a company, EBAC takes into account many factors; group dynamics, size, families in group relative to single employees, employees needs and wants, and percentage of Prevailing Wage work vs. Non-Prevailing Wage work. Because we believe an employee should have a choice, many times we offer each employee over 20 health plans, 5 Dental, 4 vision, Disability, Life, Dependent Life, and Self directed pension plan options. Many employees select one of each, some select none. To a normal employer this option would be impossible to manage, but here at EBAC it is just another day on the job. All monies received on Prevailing Wage jobs and Non-Prevailing Wage jobs are placed in an irrevocable fund and are individually accounted for. When money is received for each employee, based on the employees directive; their premiums for insurance are paid, money is stored in his MONEY BANK, and the remainder is swept to their fully vested pension plan. Simple and beneficial. EBAC takes great pride in helping employees choose the right products for themselves and their families. We work closely with each employee to assure that what they choose meets or exceeds their needs and stays within their budget. With quarterly reports you will easily be able to keep up on everything. Fringe benefits are important, but don't make the employee pay for something they do not need or want. This is why contractors choose EBAC. 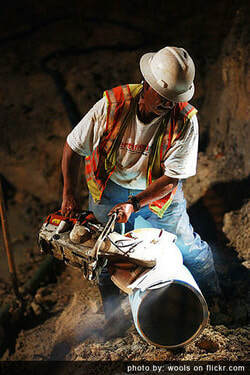 A program that can dramatically reduce cost related to payroll taxes paid unnecessarily on the fringe portion of the wages owed on Prevailing Wage projects. A program that helps ensure compliance with Davis Bacon, CAP, and ERISA's stringent requirements while significantly reducing known liabilities created by these governing agencies. Allowing your business to not only be competitive, but profitable. A program that relieves your payroll department and/or office administrations responsibilities by passing on many time consuming duties to our knowledgeable and professional staff to mitigate. A program that expands the benefits offered to your employees with the capability to decrease your direct labor burden, workmen compensation premiums and related insurance costs. EBAC will devise a benefit package that will shrink your overhead, providing the competitive edge your business needs. A program that secures a large selection of health, dental, vision, disability and Section 125 approved benefit products. EBAC has the capacity to incorporate existing programs into a multitude of diverse programs. A program that allows your employees the ability to receive financial strategies and customize the most beneficial and secure retirement packages.